It's hard to believe how quickly the mobile landscaped morphed over the past decade. 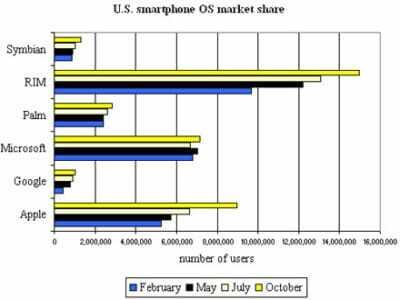 December 17, 2009: Apple finally triumphs over longtime rival Microsoft … on mobile operating system market share. 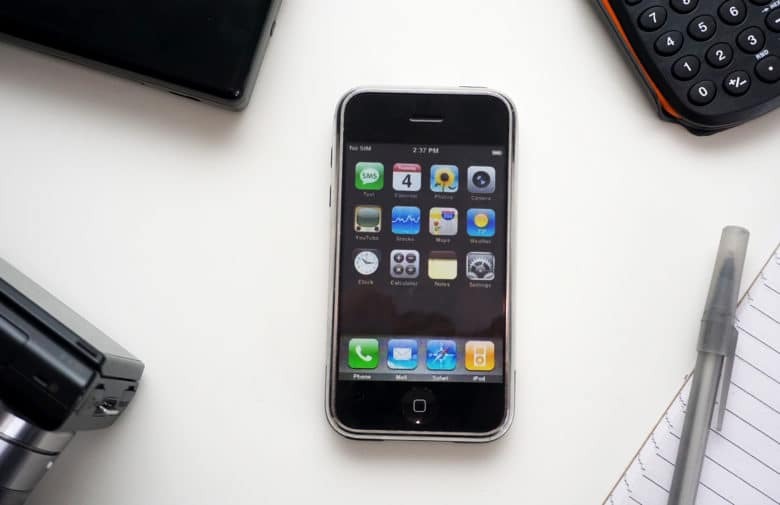 Figures released by research firm Comscore show that iPhone OS (as iOS is called at the time) surpasses Windows Mobile in the United States. At the time, roughly 36 million Americans own smartphones. Of these, a quarter run Apple’s mobile operating system. The undisputed leader at the time was Research in Motion’s BlackBerry operating system, found on 40 percent of American handsets. Apple came in second. Microsoft took third, followed by Palm, then Symbian and (in last position) Google’s Android operating system. In some ways, these adoption figures represent a turning point in tech. At the time, Microsoft led Apple in terms of market valuation, although clearly things were changing fast. Microsoft’s Steve Ballmer laughed at the iPhone, which he slated as a non-serious competitor to Microsoft’s Windows Mobile. By May the following year, Apple overtook Microsoft in market capitalization, surpassing the tech giant that dominated Cupertino during the previous decade. By the end of 2010, Microsoft dropped its Windows Mobile operating system in favor of Windows Phone OS. The other rival operating systems of 2009 also sheds light on how much things changed in the years since. BlackBerry, then the industry leader, has become an afterthought. Palm OS has meanwhile been discontinued, as has Symbian. Aside from iOS, the only other mobile OS to flourish is Android. Figures from 2018 show that current U.S. smartphone operating system adoption breaks down like this: iOS runs on 62 percent of devices, Android on 37.5 percent, and the remainder on negligible percentages under 1 percent. However, Microsoft has once again overtaken Apple in terms of market cap. Things sure have changed in the past decade or so. Which mobile operating system and handset were you using back in December 2009? Let us know in the comments below.